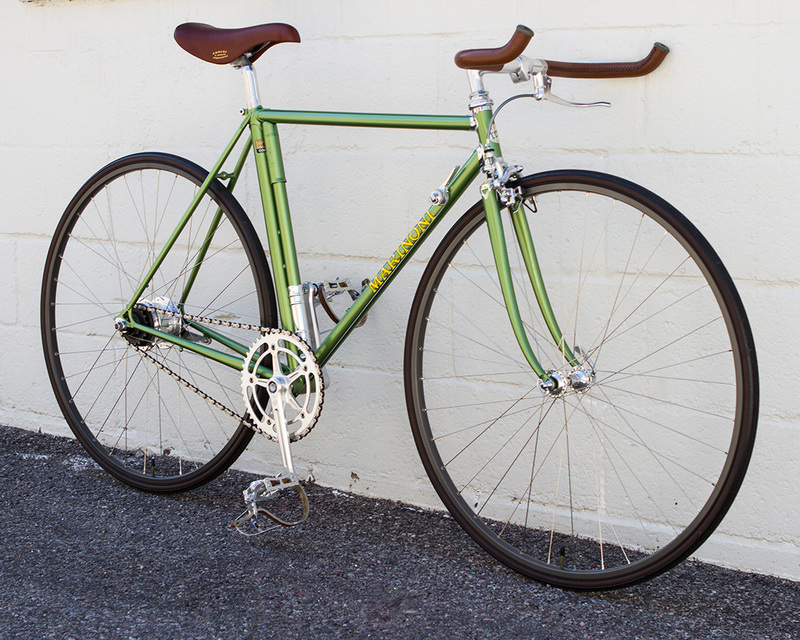 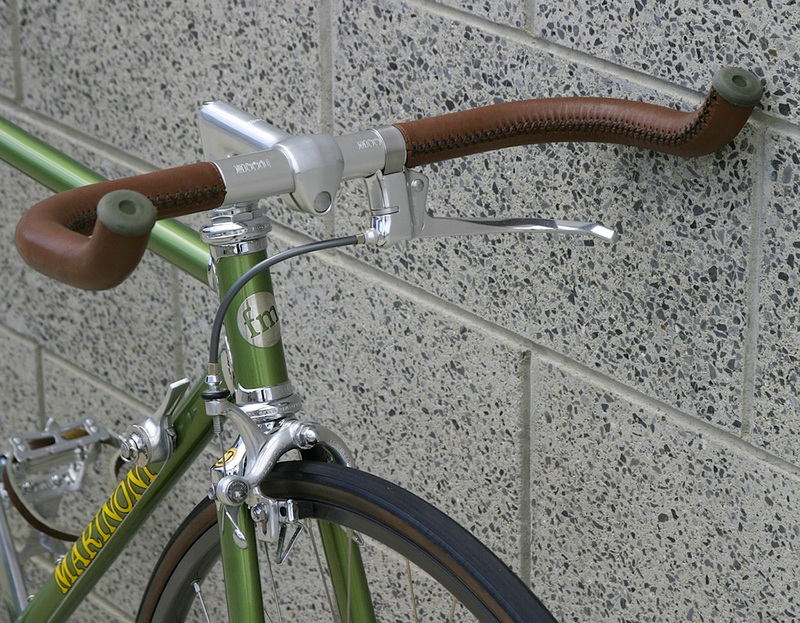 Mash-up of 70’s road bike, functional commuter, and fixed gear aesthetic. 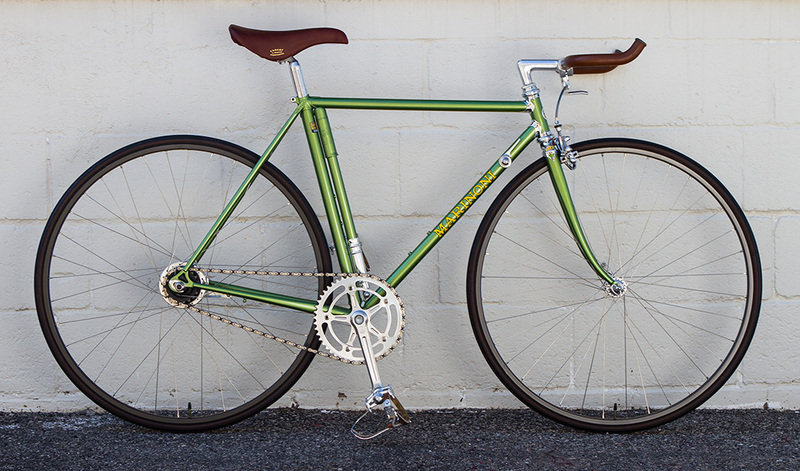 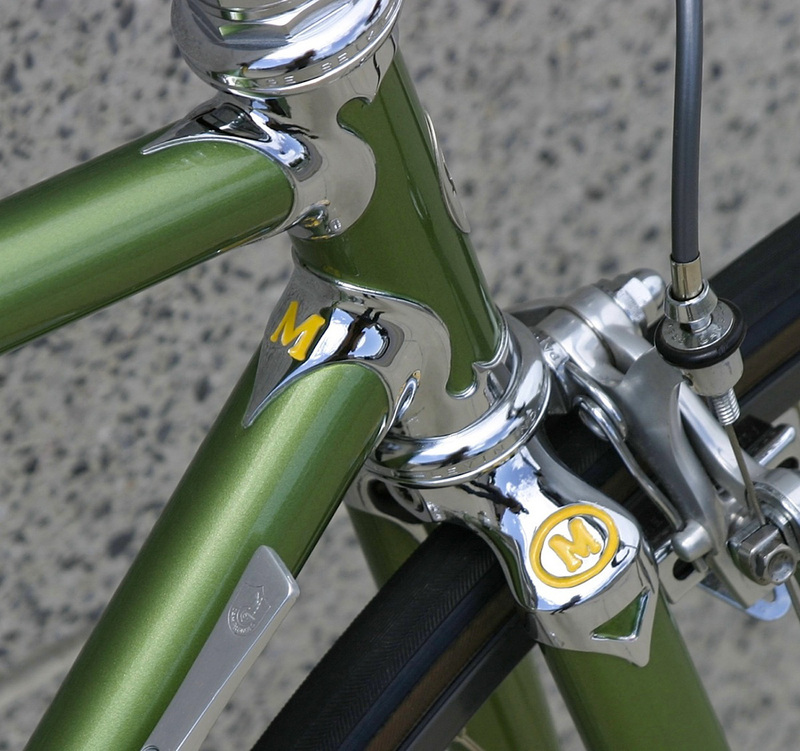 Built from a salvaged late 80’s Marinoni bike frame and vintage Campagnolo parts. 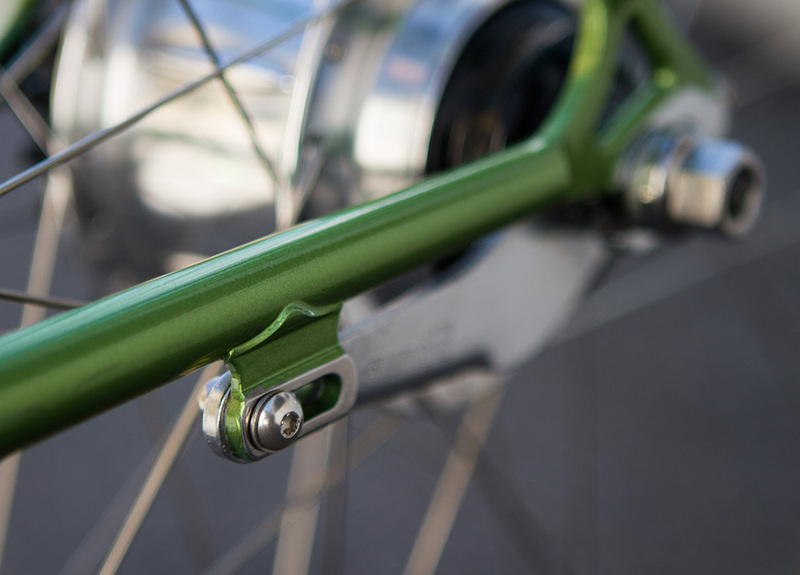 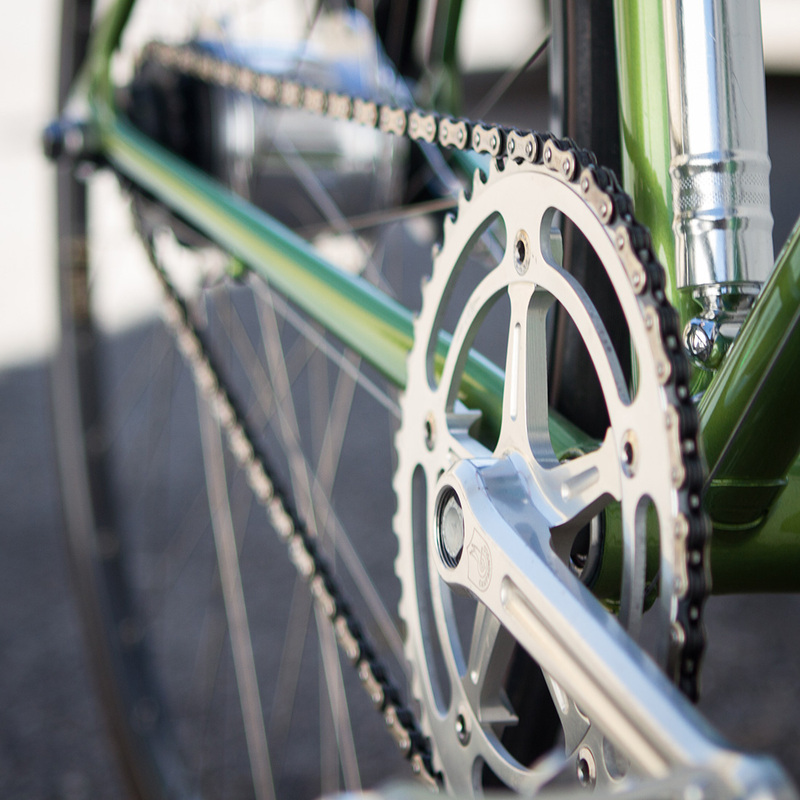 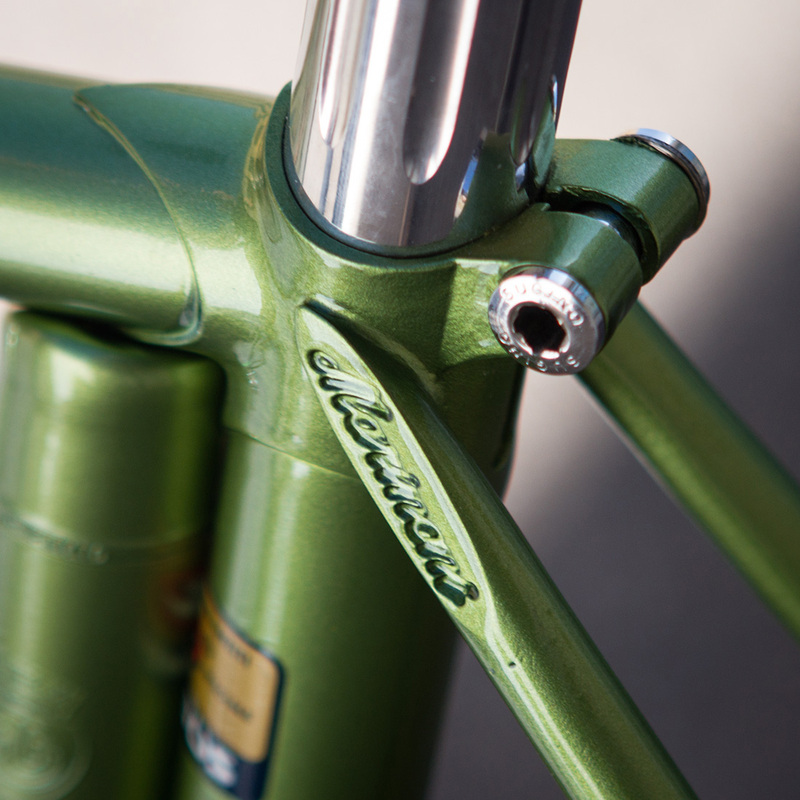 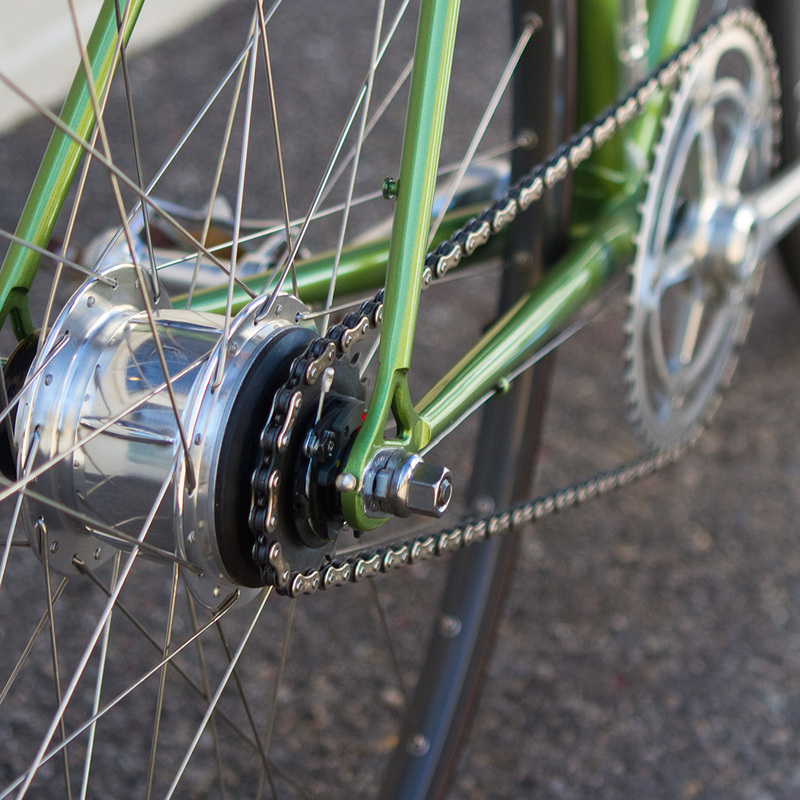 Uses an 8-speed Shimano Nexus hub for versatility and coaster brake for simplicity.